What could go wrong with a show about the birth of hip-hop in 1977 New York City? Did you see that Kool DJ Herc sued HBO's series Vinyl? It can go pretty wrong. I wasn't sure what I was going to get when I started watching Netflix new drama "The Get Down" the other night. For the first thirty minutes, I wasn't even sure I was going to make it through the very first episode. But then, out of the blue and all of a sudden, the show started to be really FUN. I am not a huge fan of Baz Luhrmann (famous for insanely over the top movies like Moulin Rouge). So, I had some trepidation when I first heard that he was running "The Get Down" but after watching it,I have to give the man some credit. Here are 5 things I think he and his crew got right about the series. I was one of the biggest supporters of HBO's series Vinyl but even I have to admit the show felt like it was made by New York tourists. Yes, they visited the "cool" places, but it sure didn't feel very New York. Vinyl also avoided almost all of the political and social drama that should have been surrounding the show's universe. Punk, Disco, Funk, and Hip-Hop didn't happen in a vacuum and most certainly did not happen only at Max's Kansas City. The Get Down covers the fires, the gangs, and even the Mayor's absurdist war on Grafitti. "The Get Down" feels like it is unfolding in the same dirty and messy, but cool, New York City that I grew up in. From the grainy photo style (and sometimes intentionally cheesy photography and costumes) to the inserts from period television, it feels right. That matters. The guy playing Mayor Ed Koch - not so much. But on the whole, great. The Get Down respects the four pillars of Hip Hop. Before you even know the show is about a burgeoning hip-hop crew, you see Grafitti Artists. Eventually, as the show progresses, you will see great respect paid to the B-Boys, Grafitti, Emcees, and especially to the DJ's. There is a great early scene on a rooftop where the main characters discuss how the city is broken up into territories around Kool DJ Herc, Grandmaster Flash, and the Zulu Nation. The different DJ's are treated by everyone on the show as rulers and gurus both literally and figuratively. How cool is that? 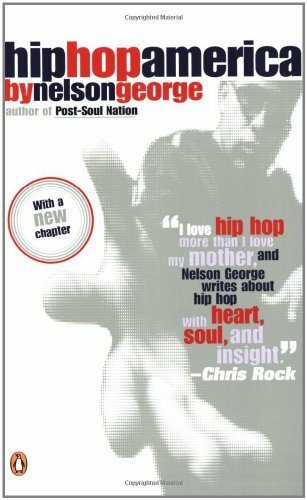 Consultants included Nelson George, Flash, Nas, Rahiem (Furious Five), Kool Herc, Kurtis Blow and many others who were present at the revolution, so the history is on-point. My theory is that any show will be automatically made better by casting someone from the television shows The Wire (HBO), Breaking Bad (AMC), or from the Spike Lee movie "Do The Right Thing." In my world, "Do The Right Thing" Carries the most weight (with the exception of cast member Sam Jackson because he is in way too many movies to count). "The Get Down" has Giancarlo Esposito who is in both Do The Right Thing (Buggin' Out) and in Breaking Bad (Gustavo Fring). Okay, there is a scene where Grandmaster Flash (Mamoudou Athie) is teaching Shaolin Fantastic (Shameik Moore) to spin and it is pure magic. Anyone who has ever been a DJ will love how real this scene is. Anyway, they aren't messing around. They play all the real stuff. The only thing I am not crazy about is the rhymes at the beginning of each episode because it is too dark and 90's style. It doesn't fit the rest of the show IMHO. If there was one totally legit knock against Vinyl it was that it made the 70's NYC music scene seem almost unpleasant. The Get Down is full of JOY. Sure, there is drug drama, political drama, family drama, and gang drama but it is always surrounded by FUN. Great house parties, great club scenes, even some fun disco scenes (as hard as it is for me to say those words). I mean one of the major early plot points is about hunting down whoever is bootlegging Grand Master Flash's parties. I mean, that is a riot. Grand Master Flash has a crew he pays to hunt people who bootleg him down for God's sake. One of the best early scenes has a great rap and B-Boy battle and the spirit of that infuses the entire rest of the series. Oh, and Jimmy Smits is on the show too. Anyway, I am not going to lie and say this is some Emmy-worthy drama. It isn't. But sometimes that isn't all that is important. "The Get Down" gets so many of the little details right and has so much fun doing it, you just can't help but smile. Oh, by the way, that Funky 4 + 1 hit includes bass from the legendary Doug Wimbush. Okay, well that is all I have for tonight. What did you think of "The Get Down?" Let me know what you thought, leave a comment!